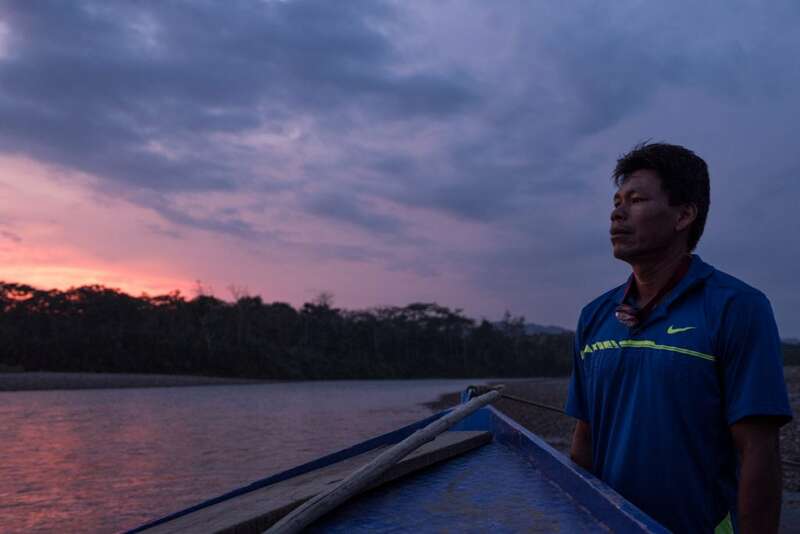 Crees Multimedia Intern, Jone Troconis, looks beneath the surface of Manu's waters: what opportunities, threats and challenges do they bring to communities in Madre de Dios? Emerald green waters clash with the red clay walls that give the southern bound direction to the Alto Madre de Dios. The young river flows from the Andean cloud forest, forming rapids which increase and decrease as the rains come by. Tree canopies emerge from the distinct black sand shores, flowering plants stain the endless green seas with bright yellows, oranges and pink. Nature emanates with beauty. Along river beds abundant fauna is found. Burnt orange clay licks (known locally as colpas) create a feast for the eyes. Scarlet macaws blend with those of blue and yellow. Countless colorful parrots and parakeets, including the Blue Headed Parrot can also be easily spotted socializing and feeding on clay. The land flattens and mountains recede, the low morphology of the amazon basin now has calm running waters. Capybaras are easy to spot strolling along beaches. Caimans enjoy their daily sun bathing routine. Sediment river islands emerge seasonally, easily colonized by fast growing weeds. 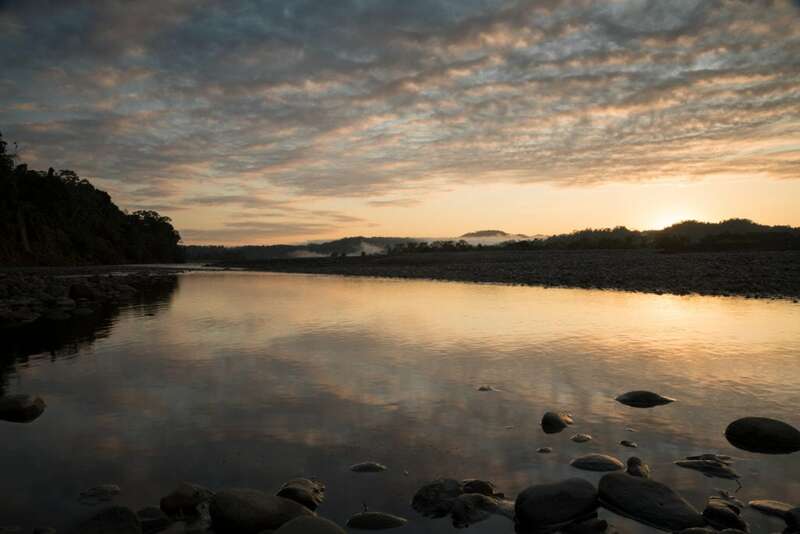 Sunrise reflecting on the Alto Madre de Dios River. Image credit: Jone Troconis. 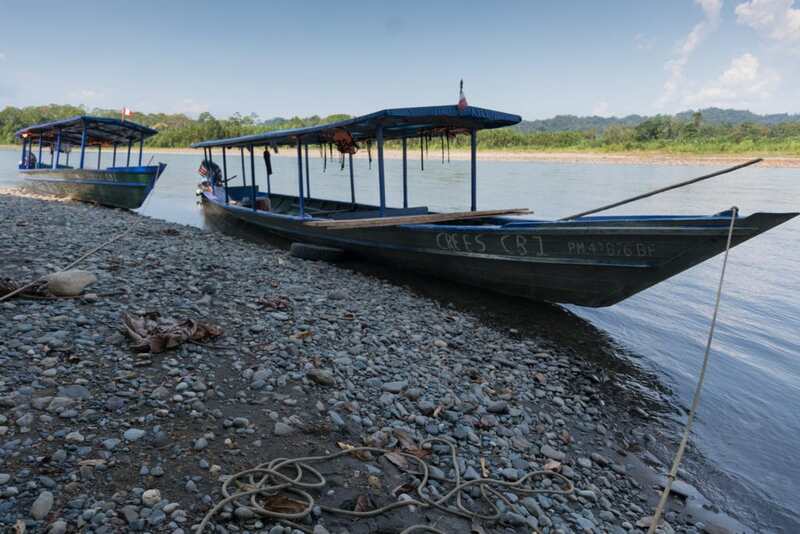 Travelling by boat is mandatory in the Madre de Dios, as indigenous communities known as ribereños are not yet accessible by roads. Water ways have been the only mode of transport used here for thousands of years. Navigation involves using long wooden or metallic motorized boats with experienced local boat men such as Elmer, who has worked for almost 19 years as a motorista and who now works at Crees. He is local to the native Yiné community of Diamante which sits about 8 hours by boat from the Manu Learning Centre. Elmer. Image credit: Jone Troconis. Elmer explains to me how tourism companies like Crees provide him and others from his community with work. Many communities don’t own motorized boats, but smaller wooden canoes (peke) that are used for both fishing and transport. Tropical waters can be dangerous, both in wet and dry season. According to Elmer, summer is “pretty to travel by boat, an adventure to tourists” but winter is dangerous. He himself has been suddenly stranded before on a beach during a creciente (flash flood). In just a couple hours waters can rise by around three meters. 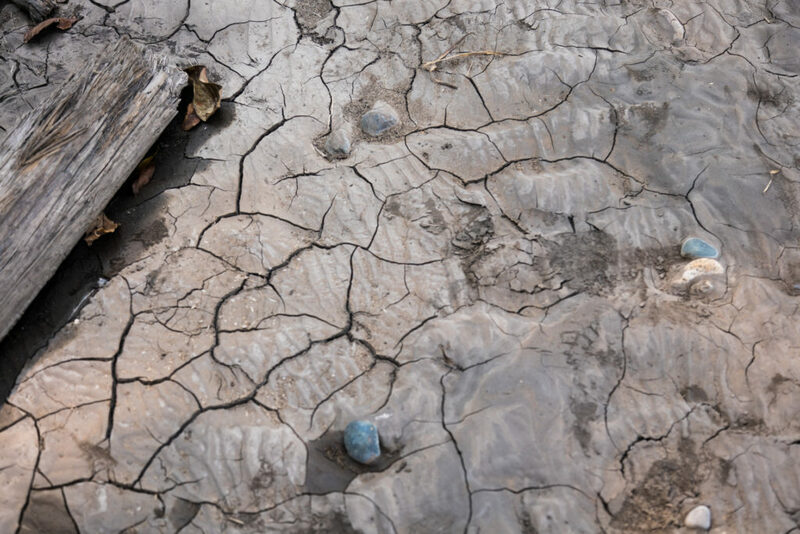 In dry season, low amounts of water can also become difficult to navigate with repeatedly hidden river rocks or tree trunks threatening heavy loaded boats. The river and its tributaries also provides communities with food by watering their communal chacras, or farms. Elmer explains that the rivers of Diamante are better for fishing than up river, like the waters surrounding the MLC. The water there is calmer, there is more sand and more fish. Whilst upstream, the river is faster and has too many currents. Crees-Manu owned boats. Image credit: Jone Troconis. Beneath the surface of Manu’s waters. However sustaining life in Manu isn’t as simple as it once was. Other communities such as Boca Colorado and Puerto Maldonado practice gold mining: an industry which is often is unregulated and which heavily contaminates the waters. Because the soil underneath tropical rainforest is often laced with gold and other minerals (bauxite, mercury, etc) mining offers people in the region a higher economical gain than tourism and illegal logging can. In fact, the exploitation of these resources creates a three billion dollar industry, but completely obliterates the rainforest in consequence Elmer doesn’t believe his community experiences side effects produced by mercury poisoning; neither through water nor food consumption. He does, however, recall an incident during 2015 where he witnessed many fish species (escarachamitas, rays, etc) stranded on the beach, which consequently died. A link between this incident and mining can’t be made without further research. However, recent studies done in the region show that close to 40% of the land surrounding illegal activities is contaminated. In fact, in 2016 the Peruvian government declared a 60 day “state of emergency” in the Madre de Dios department due to the high levels of mercury found, showing how widespread its effects are. Barren soil. Image credit: Jone Troconis. Fish is a primary part of the ribereños diets. Unknowingly they could be consuming high amounts of contaminated fish. After all, mercury in the water affects the entire food chain, building in concentration at each stage. Health issues arise and are a major concern when it comes to the impacts of mining. But this doesn’t come alone. Deforestation, contamination and the abandonment of traditional agriculture create a new necessity to import food and acquire money to do so, thus continuing the cycle. Previously sustainable communities are now forced to work in mines in order to sustain themselves. According to Kimlee Wong, the government has never directly informed the indigenous residents about the health risks they face. The land and river are unable to regenerate. Ancestral cultural values and the biodiverse ecosystem are at stake. We can’t keep romanticizing the jungle or just looking at how beautiful it is to experience the river. We as tourists and conservationists now acknowledge the occurring issues. We are in time to stop further damage, we can study the effects and help those who are affected. But we must get involved now.